GERMANWINGS (today EUROWINGS) is a daughter company of German LUFTHANSA. It is supposed to be the low cost segment, operating a fleet of Airbus A320 family aircraft. But among those are some of the oldest aircraft that originate from the former LUFTHANSA fleet. 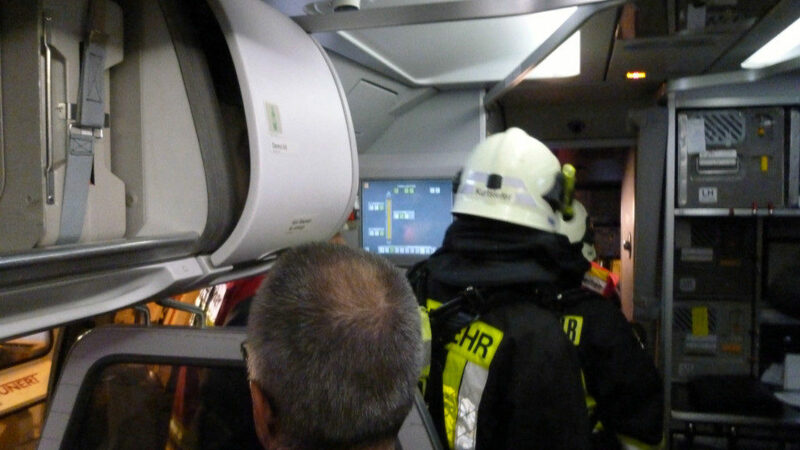 In regards to cabin air events Germanwings has had the highest amount of incidents associated with this problem. Insiders believe that this could be associated with the different «standards» applied for LUFTHANSA and their affiliates. Though all aircraft are maintained by LUFTHANSA TECHNIC the aircraft belonging to GERMANWINGS are maintained as «customer» aircraft, meaning that only necessary and mandatory maintenance action will be performed. It is sticking out that the engines have very high amounts of hours since last overhaul. GERMANWINGS is located at Cologne, Germany. Fragen Tim van Beveren an BFU im Zusammenhang mit 5X018-10 und Antwort der BFU (Jens Friedemann) – Anmerkung: Die Fragen wurden bis heute nicht beantwortet!